Uri Minkoff, creative director of Ben Minkoff, is a new menswear accessories designer who recently launched his first collection in the spring of 2014. Coming from a family oriented business – Rebecca Minkoff – that has had a major success with their women’s accessories line, it would make sense Mr. Minkoff would feel comfortable stepping into a territory that has lacked a desire among the men who want something stylish, luxurious, and practical without the frightening price tag of some designer brands. And this is what describes the brand in a nutshell. Mr. Minkoff is committed to designing the perfect bag for the modern day man. This specific bag is really made for the father whose on-the-go with a cool outer design, interior labeled pockets for storage, and changing pad. From a sleek diaper bag, travel kit, to even a lunch bag, the uses of it are infinite. 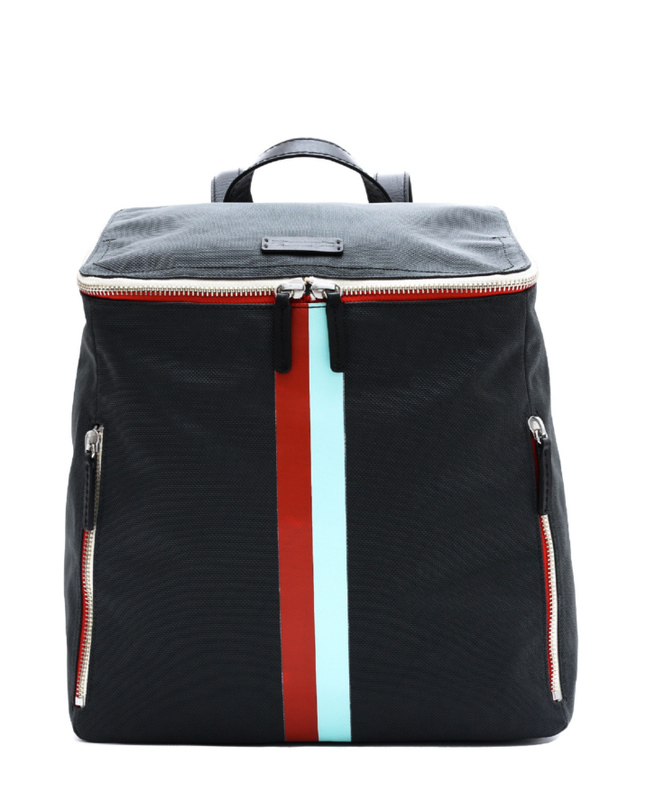 And made from durable nylon with genuine leather details, and eye catching double contrast stripes down the front and zippers, the quality of this modern bag is truly deserving of a gift for any father who’d enjoy having something sophisticated without overlooking it. The Indy Dad Bag retails for $295 and is now available at RebeccaMinkoff.com and Saks. With a price like this you know this might just be the new “it” bag for dad. Happy Father’s Day!